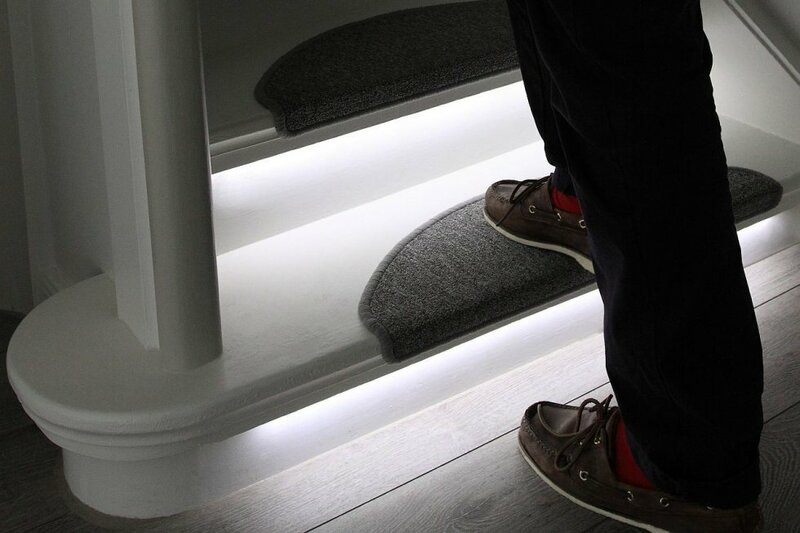 Watch your step – no, really. 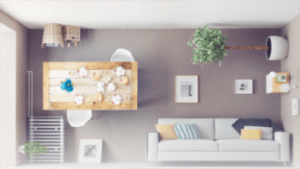 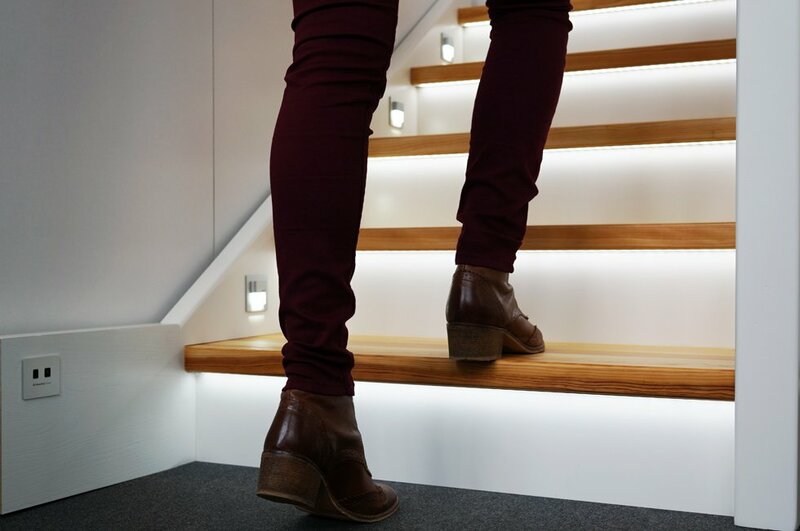 Each fade-in, fade-out, cross-tread LED light is a miniature marvel to behold in action, even inside a fairly conventional-looking home interior. 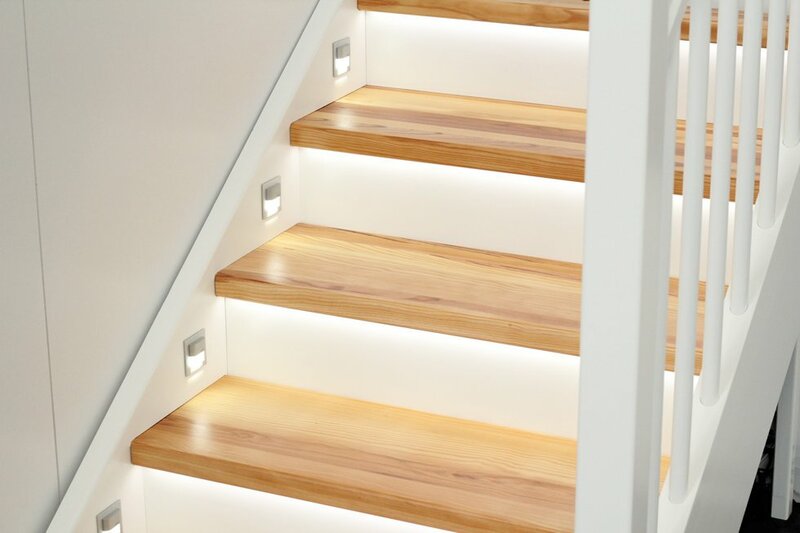 Edo Kriegsmann is a German designer with a taste for interactive furniture, furnishings, and fixtures, including but not limited to light-up tables and these DIY motion sensor stair lights. 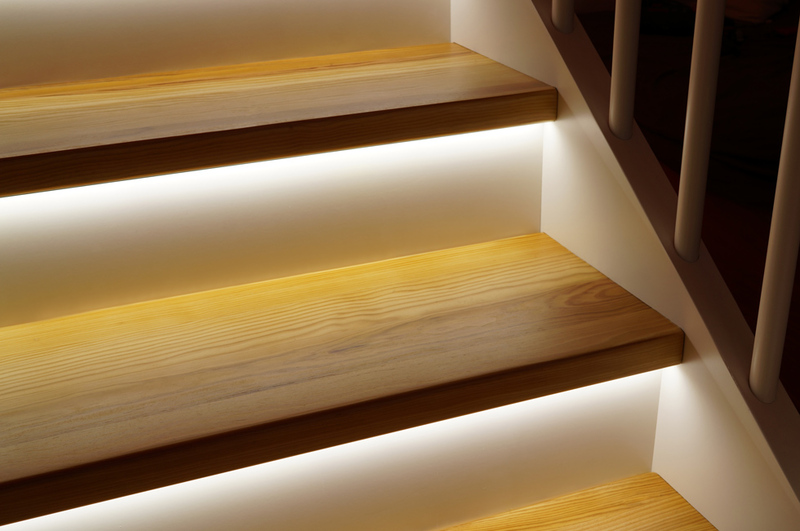 The sensor at the bottom, once tripped, starts the sequence of lights leading up to the top of the steps – while not demonstrated, one has to hope there is a corresponding sensor at the top that performs the same function in reverse.